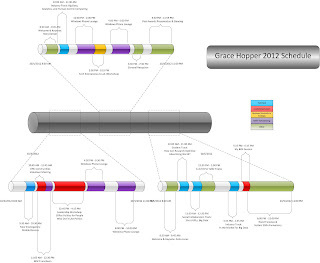 For the past few years, I've been making Visio visualizations of my schedule for GHC. 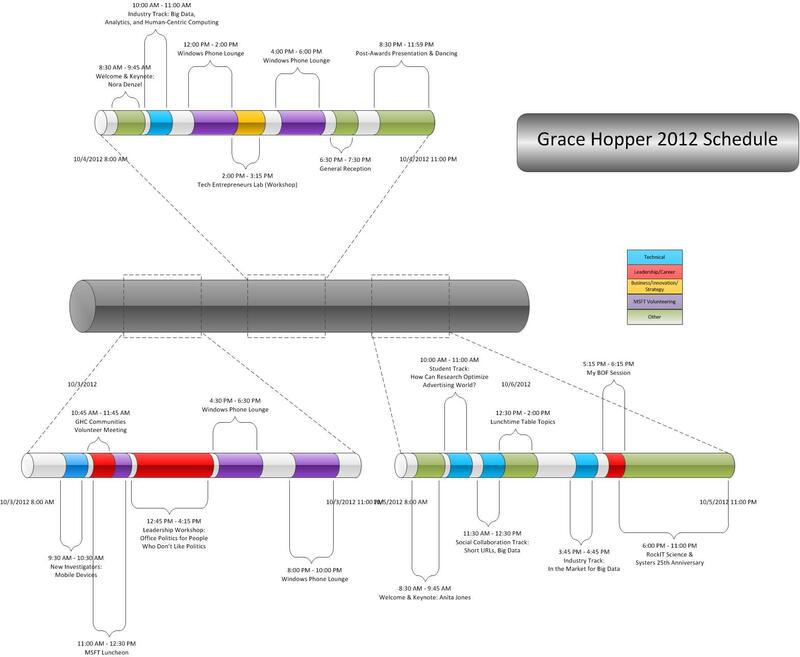 I really like that I can map out all the events (or at least, most of them!) and it helps me organize my time well. The conference is really a whirlwind, so this helps me make sure I get to every session I wanted to! I'm so excited for the many technical/leadership sessions relevant to me this year! And of course, my own BOF session on Friday 10/5 at 5:15 (shameless plug)!